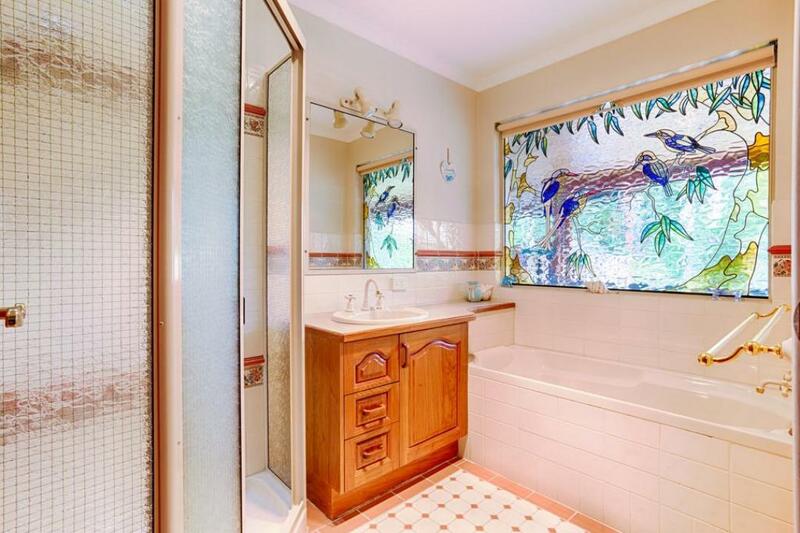 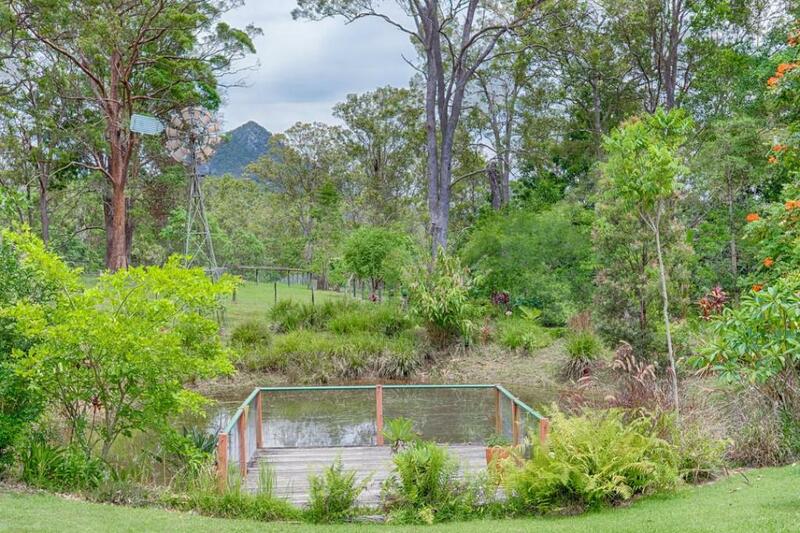 As soon as you come up the driveway, you can see this property, which is set on 2.36 acres, is meticulously presented and certainly the current owners have lovingly maintained it. 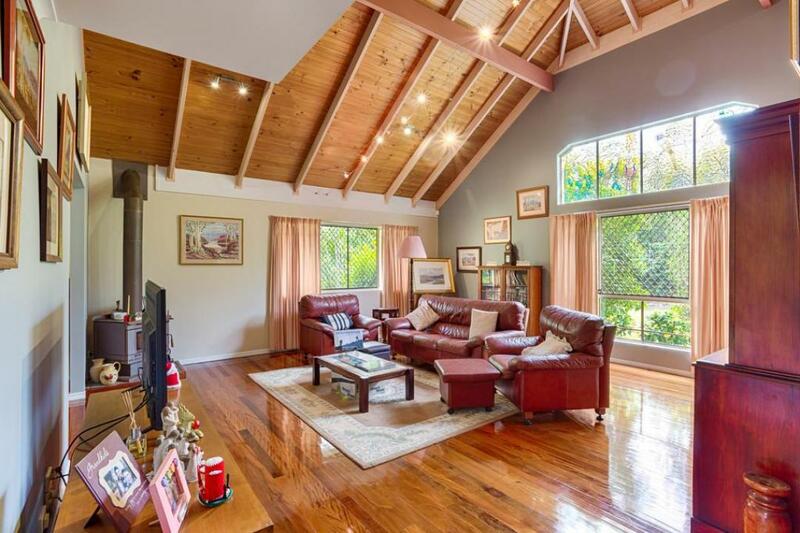 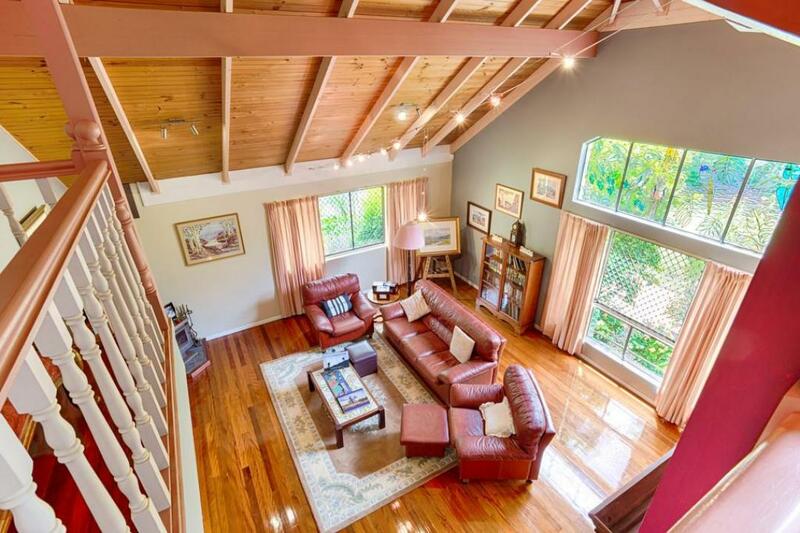 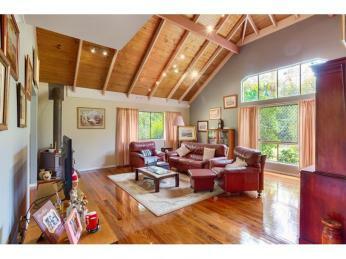 Then as you enter this beautiful home, you are immediately awed by the striking warm timber floors, high vaulted ceilings and the feeling of space. 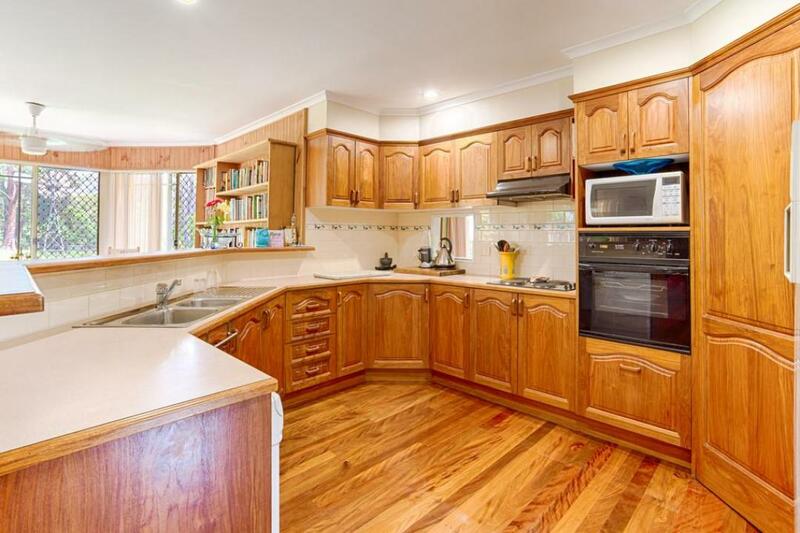 No expense was spared when this home was built, with rendered hebel brick construction, quality timbers, feature lead light windows and a spacious floor plan. 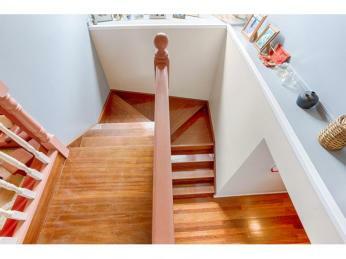 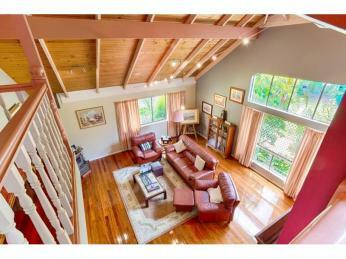 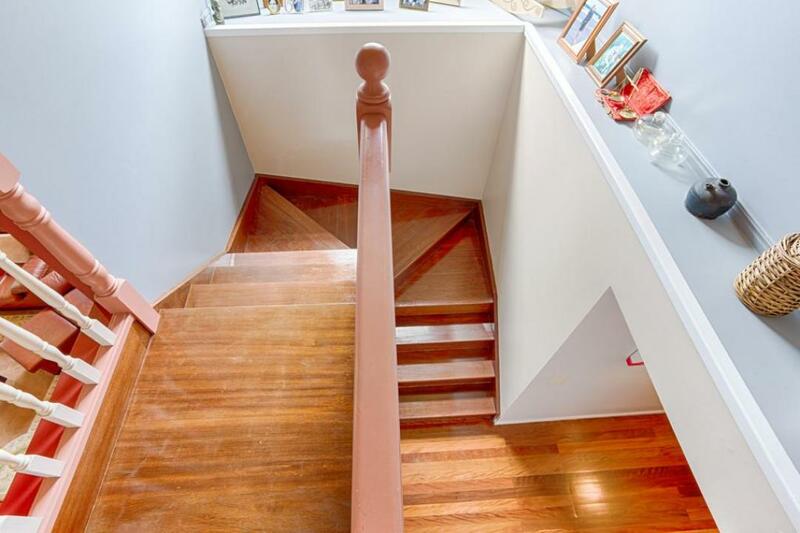 Stairs from the main living area, lead you up to the master bedroom mezzanine floor, which has its own en-suite, walk in robe, air-con and balcony which offers views to the majestic Mt Cooroora. 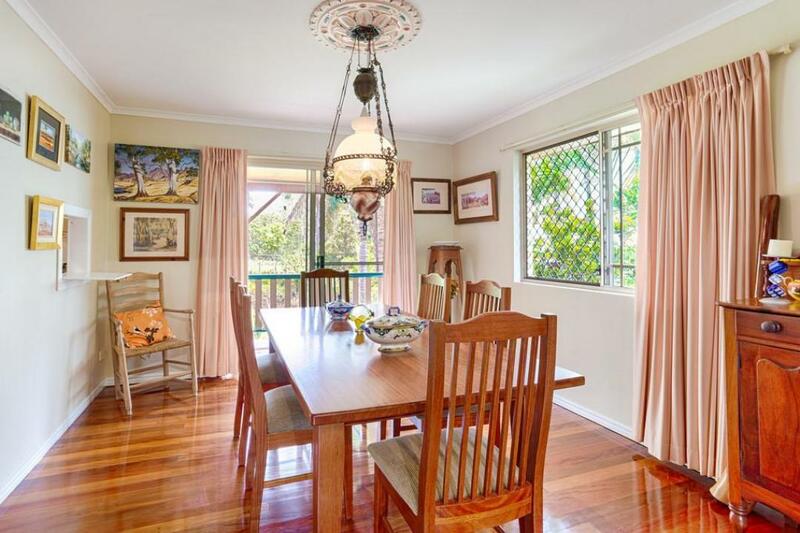 There is a formal dining area off the main living area and then a generous sized open plan kitchen with another dining and living space. 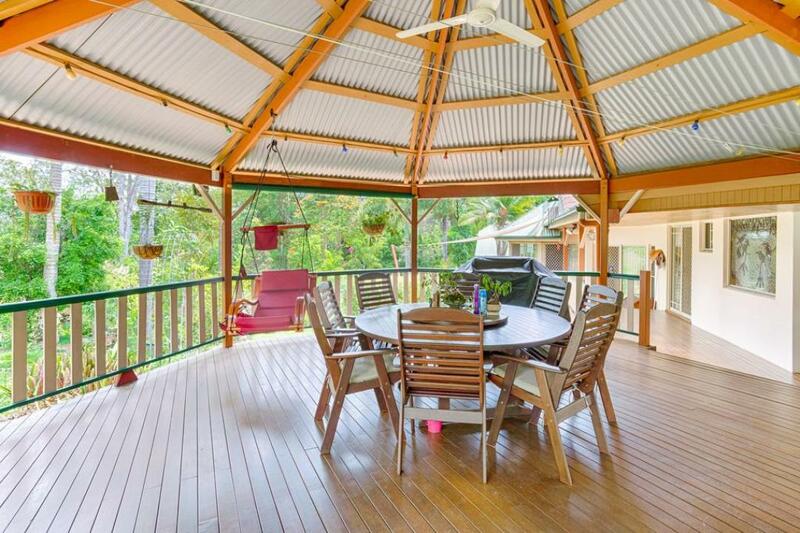 The large living extends to the outdoors as well, with an impressive gazebo allowing you to relax and enjoy the peaceful park-like gardens and cooling summer breezes. 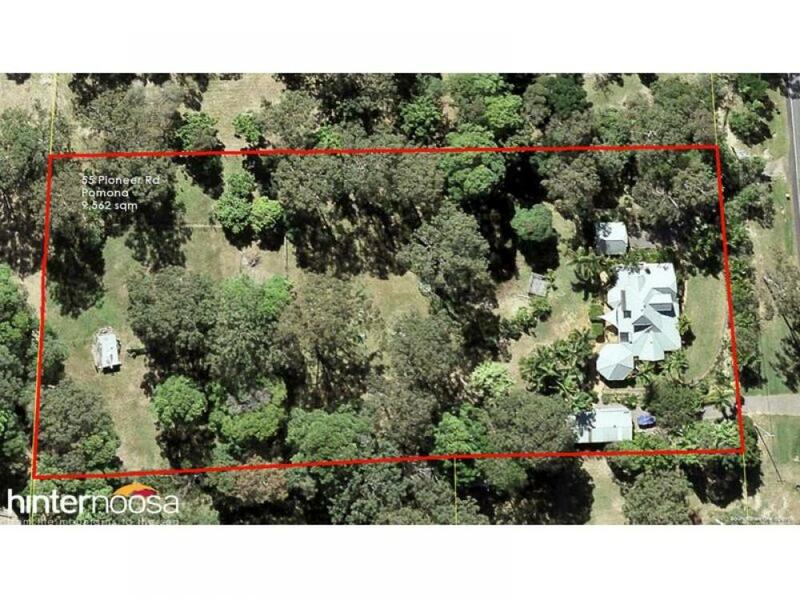 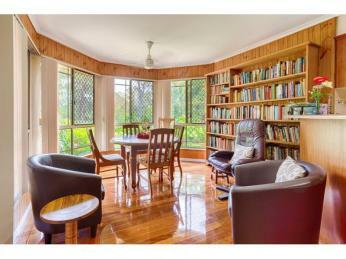 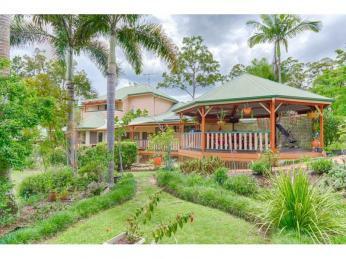 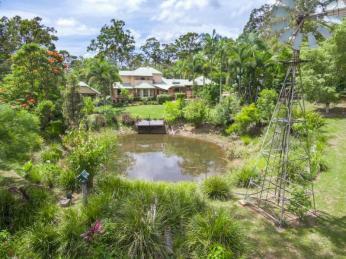 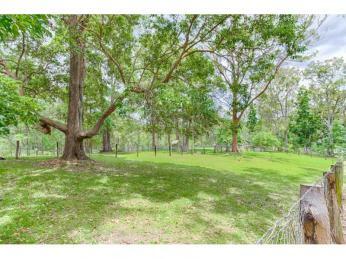 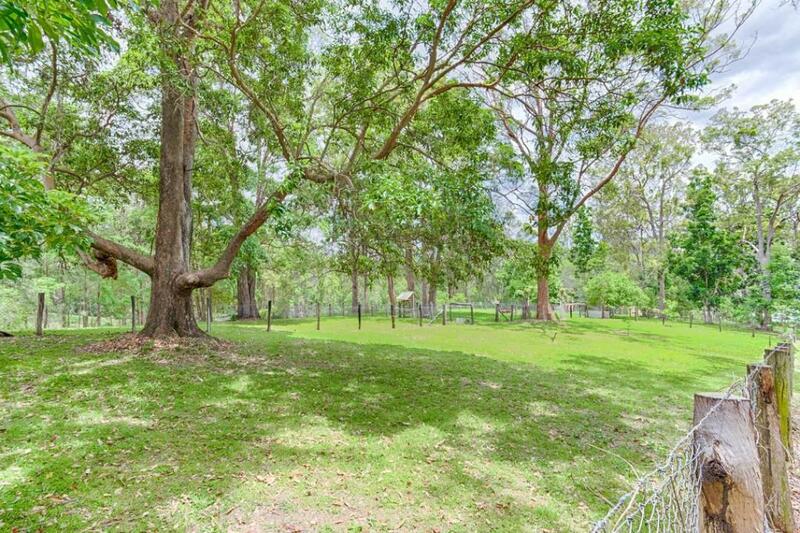 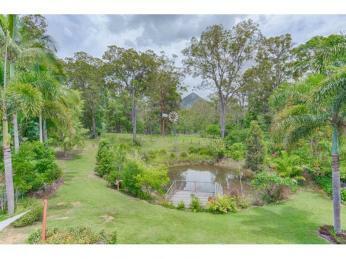 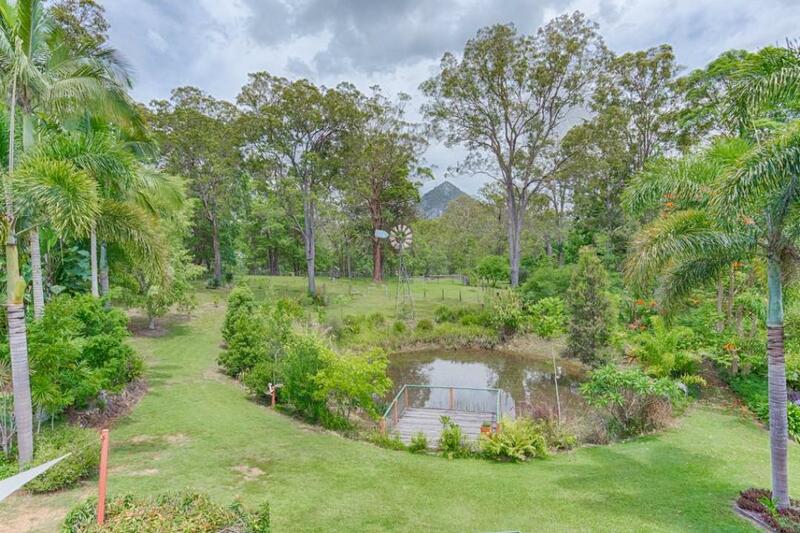 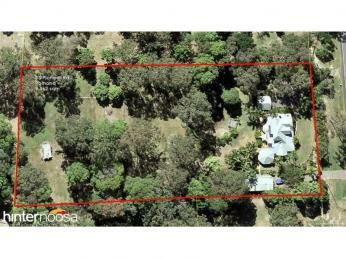 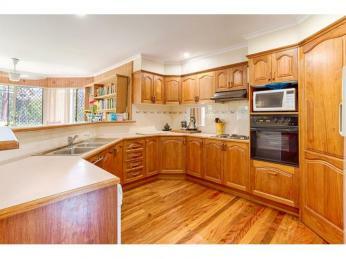 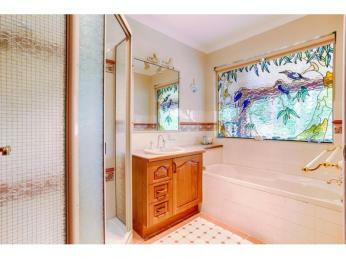 The fully fenced paddocks and large orchard are to the rear of the property. 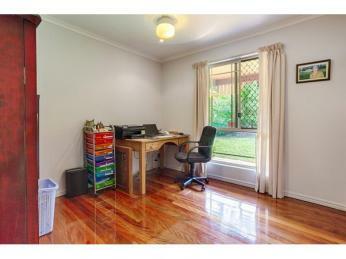 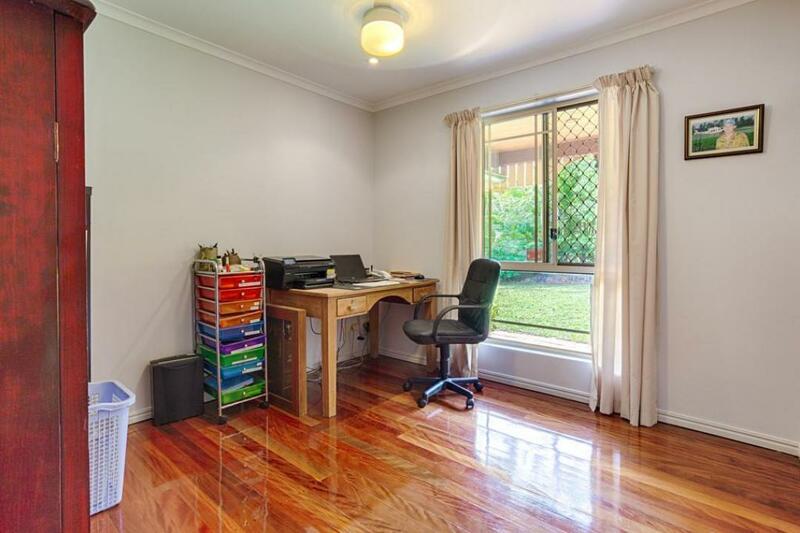 There is enough room for horses or set up a hobby farm and vege gardens. 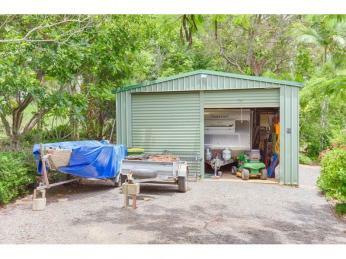 To the side of the home, the impressive high clearance shed (15 x 6m) has its own driveway and is large enough for a caravan or boat. 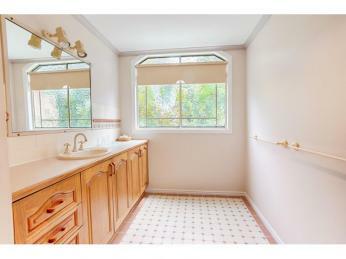 With electricity and plumbing installed, there are many options available for its use. 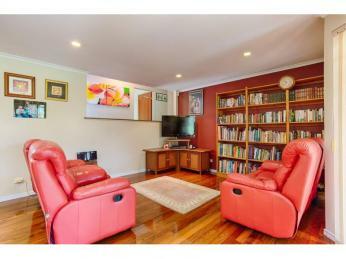 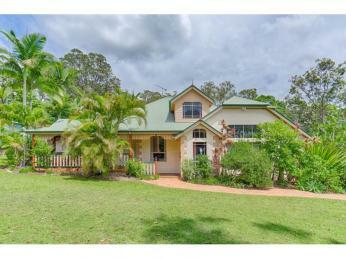 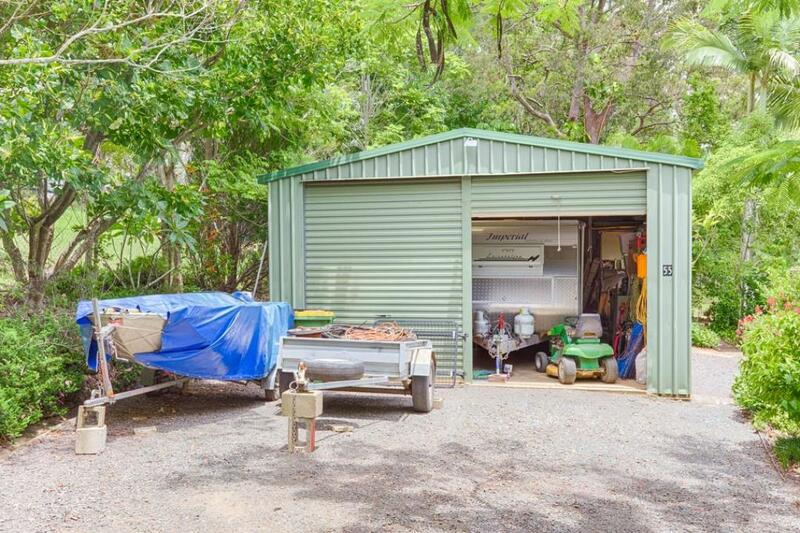 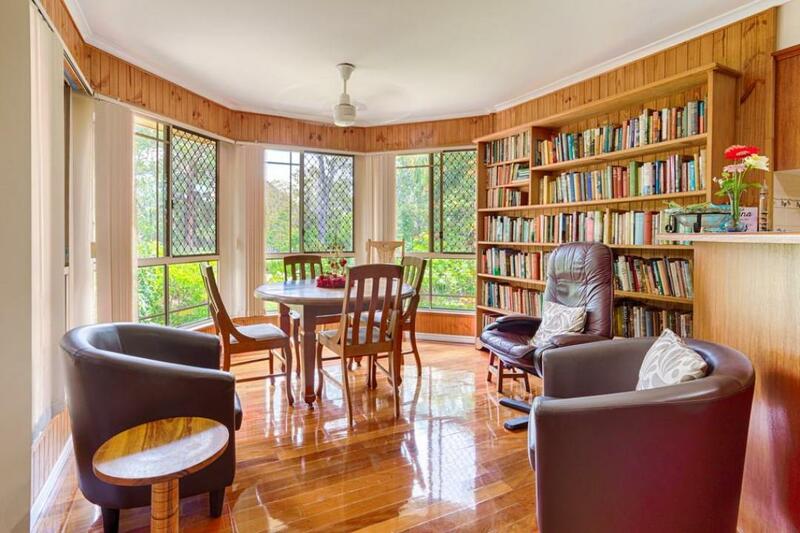 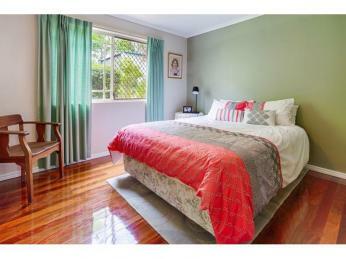 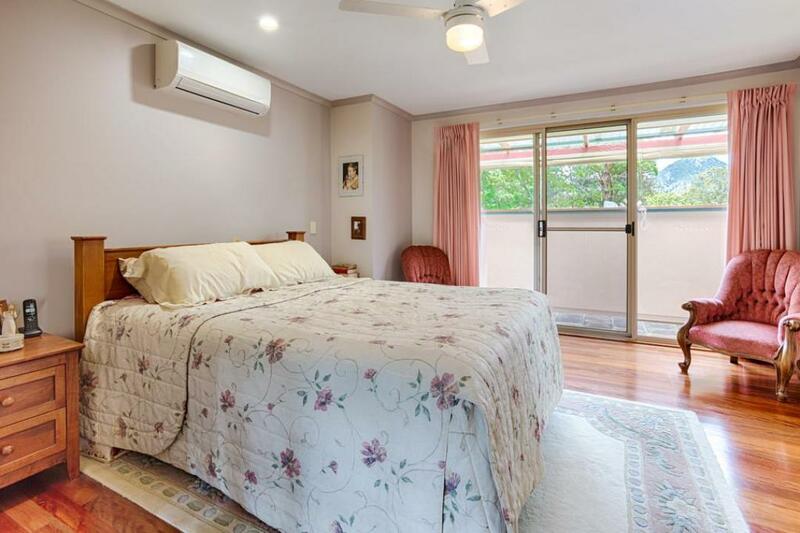 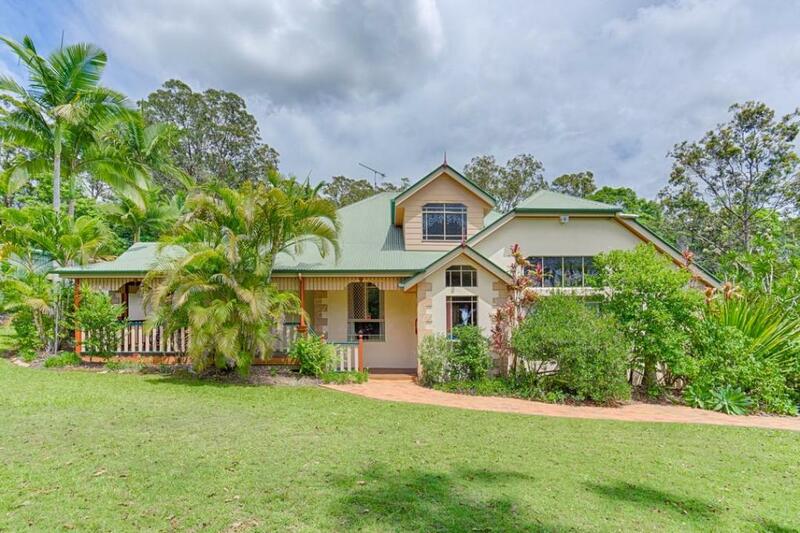 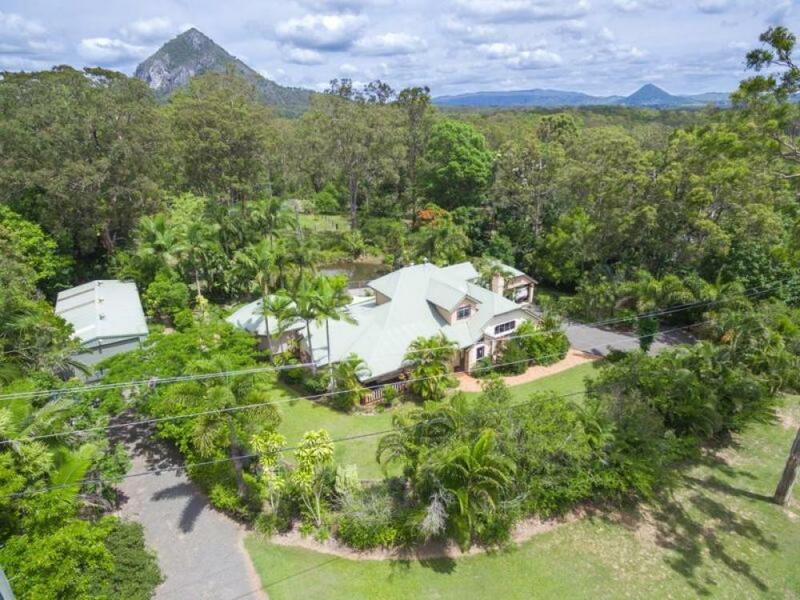 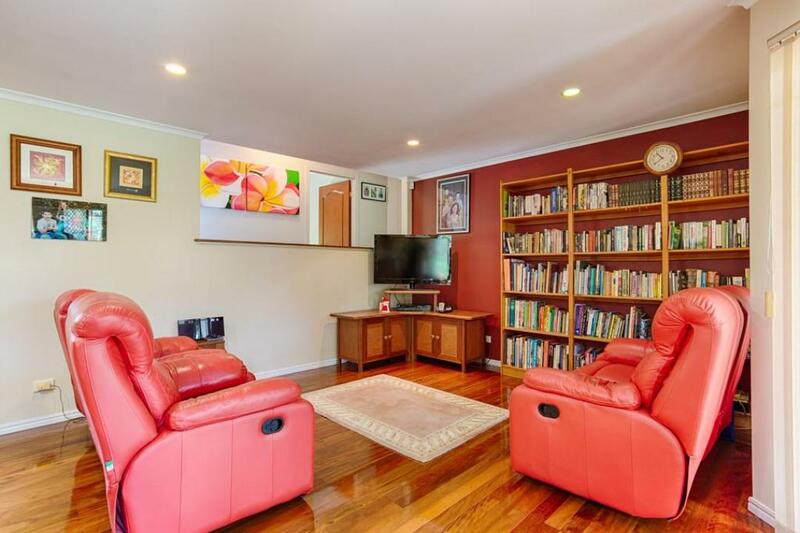 The home is located just 3 minutes from Pomona town ship and mere minutes to the Bruce Highway, with Brisbane 133 km to the south and Gympie 39km north. 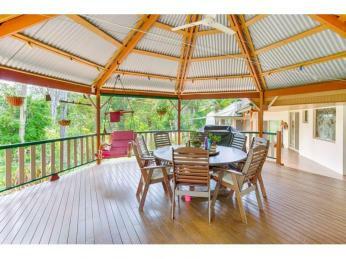 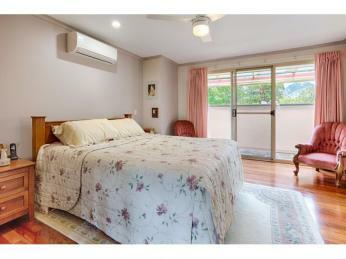 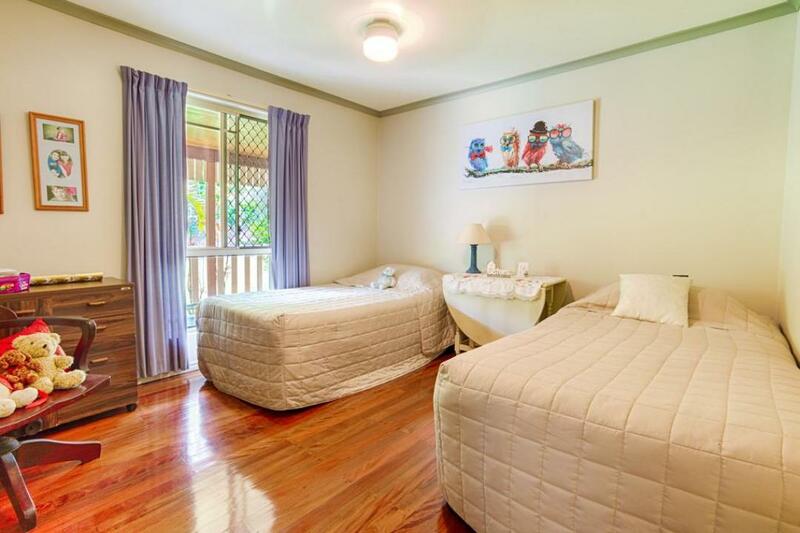 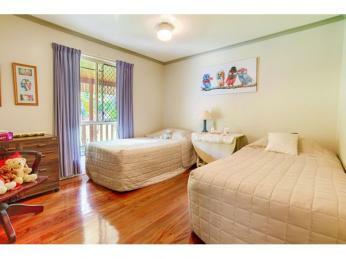 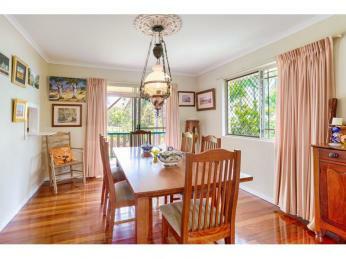 The larger town of Cooroy is 10 minutes away and Noosa main beach is only 30 mins. 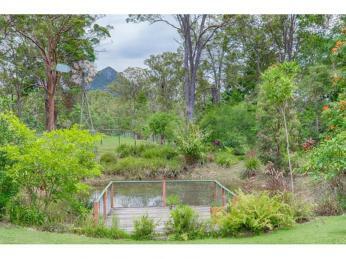 Pomona is a scenic little town located in the beautiful Noosa Hinterland and has Mt Cooroora as its backdrop. 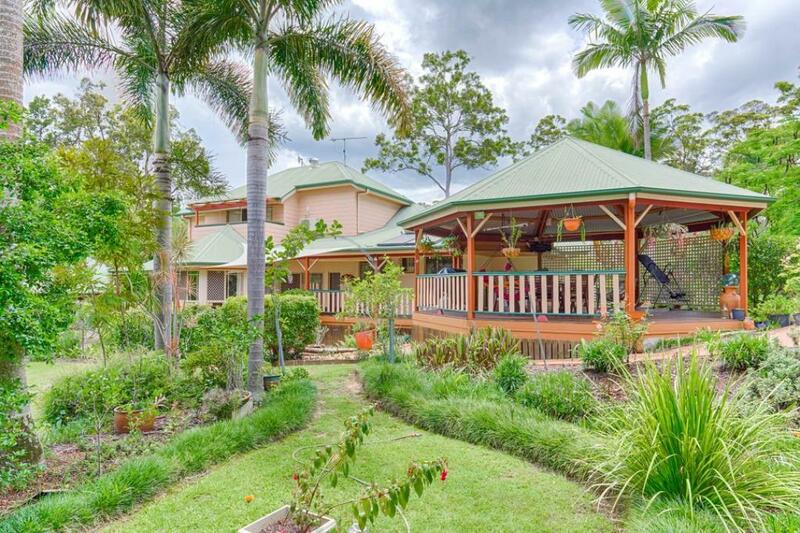 The town has everything you need: supermarket, cafes, post office, schools (primary & secondary: yrs 7-8 campus), kindy and a variety of other shops and trade services. 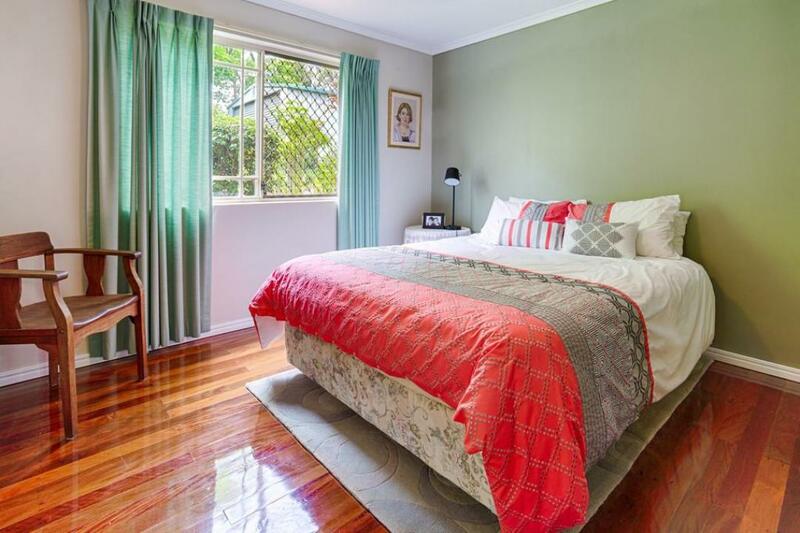 Extra attractions include the local markets which are held twice a month, the yearly King of the Mountain festival and the heritage listed Majestic Theatre. 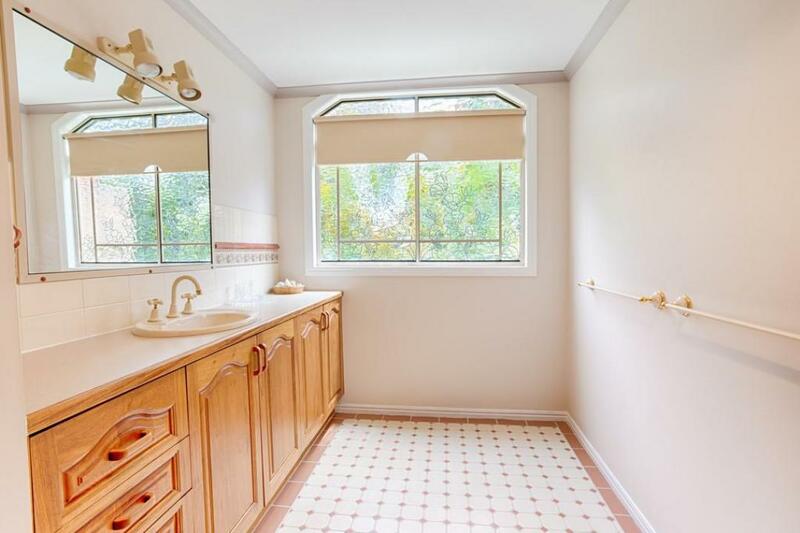 With real estate in Pomona being in high demand, book your private inspection today.